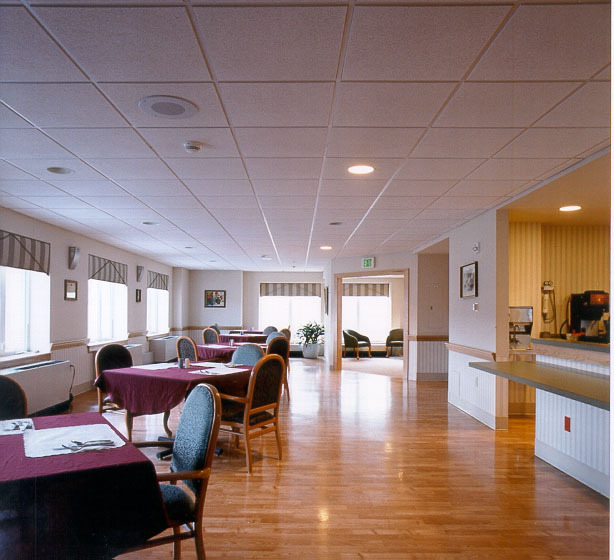 Today, resident and family amenities are of utmost importance in assisted living environments. 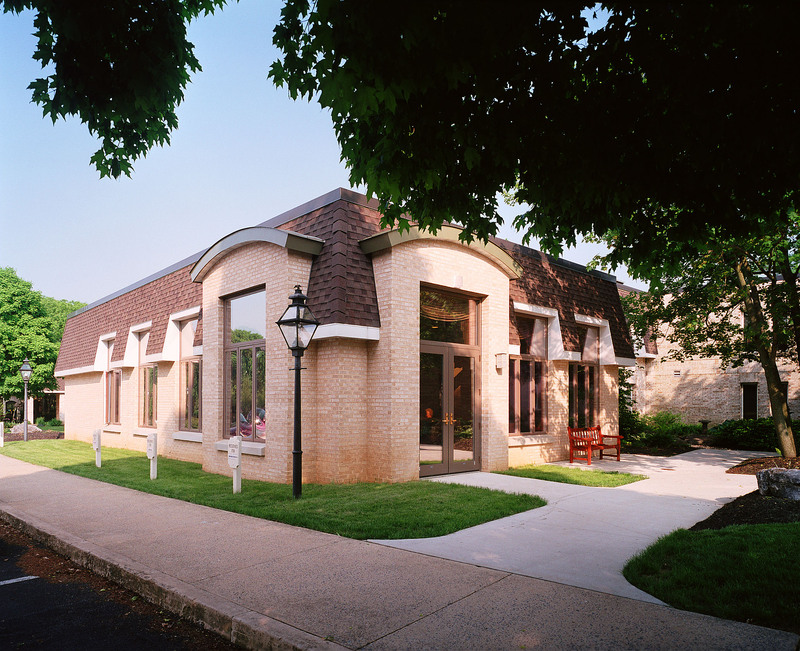 We designed a new, expanded assisted living facility for Moravian Manor, which reinforced the sense of living in a vibrant community instead of a healthcare facility. It included dining facilities with features that encourage family participation, as well as a library, lounges and beautiful, landscaped vistas. In the health center, we added more space to promote efficiency for the nursing staff and created distinctively different areas for the needs of the independent living residents vs. those in assisted living. The new health center dining area, shared by apartment and assisted living resident, is now much larger. There is plenty of space between tables and a cozy atmosphere, thanks to warm-toned wood flooring and décor. Apartment residents often use the kitchen space for personal cooking, and the room can double as an activity center for special programs. 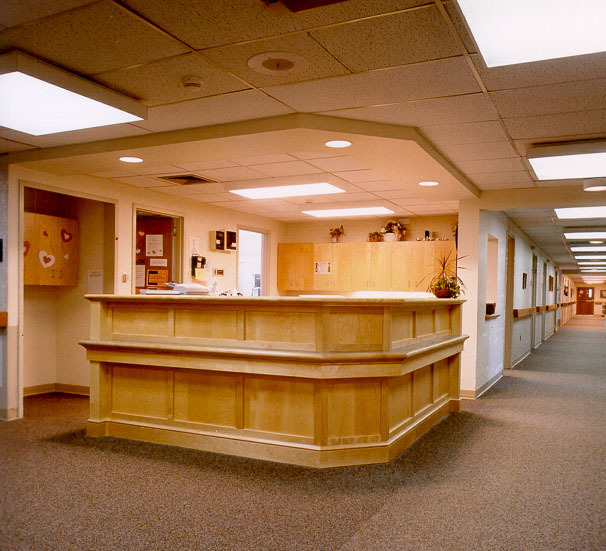 We created separate nurses stations, one in both the health center and assisted living facility. This puts nursing staff in immediate proximity to residents’ rooms and allows quick response to needs, without intrusion into their privacy. The new stations and corridors feature updated fixtures, better lighting, relaxing color schemes and wide halls adorned with art from the Manor collection.